Have fun fishing in this 4-hour tour. 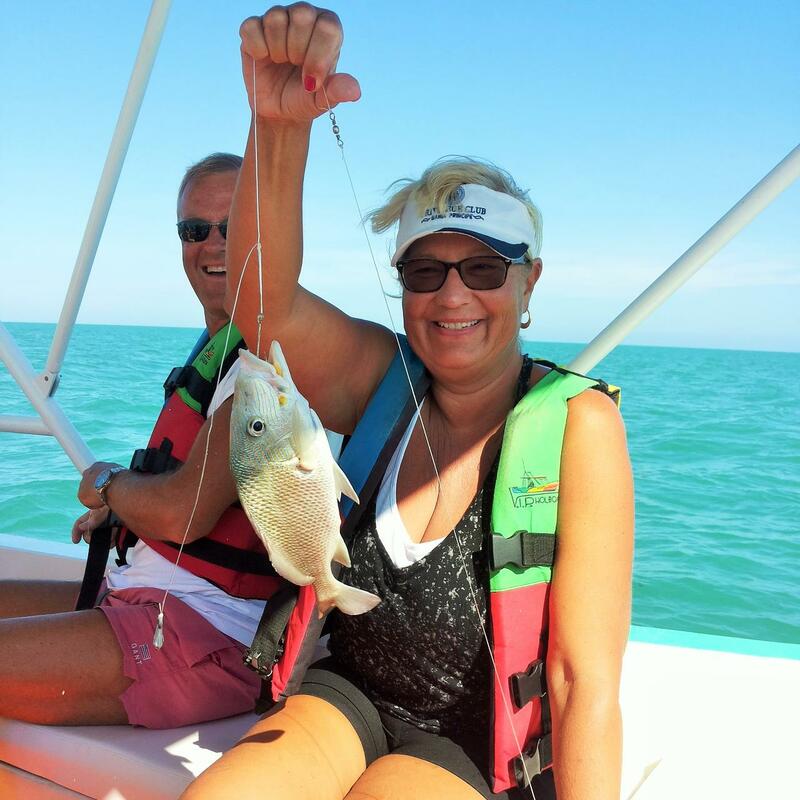 You’ll get both small and medium fishes, such as sea bass, grouper, snapper, Blonde, Chac Chi and Mojarra, among others. On board, the captain will prepare the finest and the most fresh ceviche you’ve tried. FISHING: The captain will take you to the best fishing spots. The boat will anchor and you will do some bottom fishing (with strings, no gray). EAT YOUR OWN FISH: We recommend you to bring your catch of fish for the day to “La Parrilla de Juan”. There you will learn how to prepare and make a ceviche the same way the locals here in Holbox makes it, and then you will enjoy the best meal of your life. We can take a maximum of 4 passengers per boat. If you wish to share the boat with other people you can call us and we will try to find other angleres who are interested in sharing this tour.